The blogsphere (and twitterverse!) 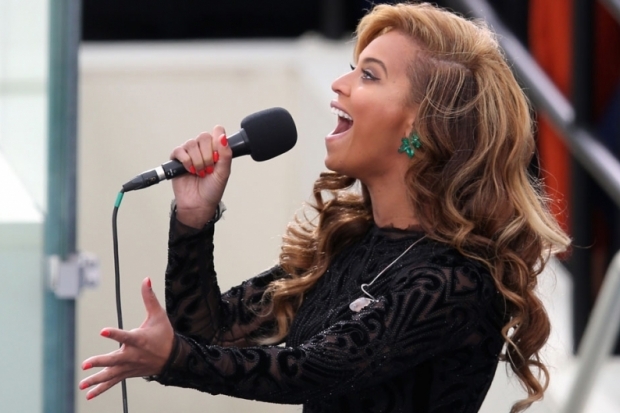 were all abuzz last week with the news that Beyoncé lip-synched the Star Spangled Banner at the Presidential Inauguration. What appeared to be a heartfelt performance now met with criticism. Many have questioned whether it was as big a deal as some made it, but it got me thinking about how we often attempt to worship. How often do we approach acts of worship with what seems like heartfelt adoration, when the fact is we are little more than lip-syncing worship? It’s easy to do, of course. Hectic schedules, familiar hymns, and the requisite warm sanctuary temperature make mind-wandering during worship quite common. Yet Scripture is replete with warnings against thoughtless worship. Both Old Testament Hebrews and New Testament Pharisee seemed to have a propensity for worship that was correct according to the letter of the law, yet was heartless. Because this people draw near with their mouth and honor me with their lips, while their hearts are far from me, and their fear of me is a commandment taught by men, therefore, behold, I will again do wonderful things with this people, with wonder upon wonder; and the wisdom of their wise men shall perish, and the discernment of their discerning men shall be hidden. This people honors me with their lips, but their heart is far from me; in vain do they worship me, teaching as doctrines the commandments of men. It is true that God wants an excellent offering (see Malachi 1), but that is not all he wants. An excellent offering without a sincere heart is vain worship to him. God desires that we draw near to him with sincere hearts by faith (Hebrews 10:22)1 This is the only acceptable worship (Hebrews 12:28). Let us be sure that we don’t simply lip-sync worship.